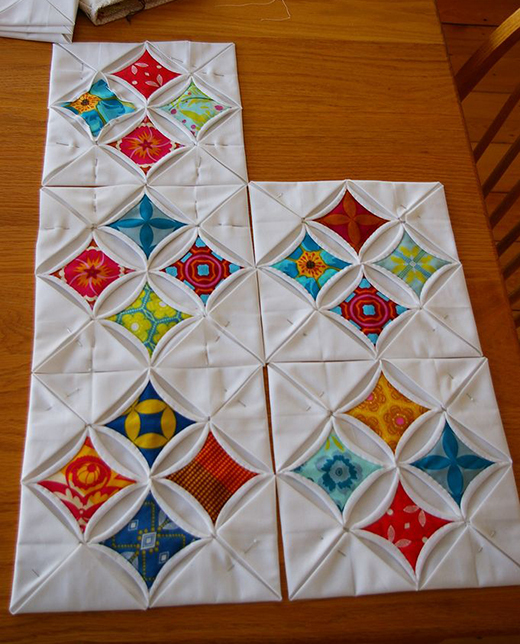 Cathedral windows is a stunning pattern, that really looks great with all sorts of a variety of scraps. It is done entirely by hand, so it does take a certain amount of patience, but it's worth it! Personally, I find hand sewing to be very relaxing, so I'll work on it a bit here and there, when I need a break from other projects.